Lava mass pouring from a volcano at average speeds of 300 meters per hour; it can reach temperatures as high as 1,200°C. 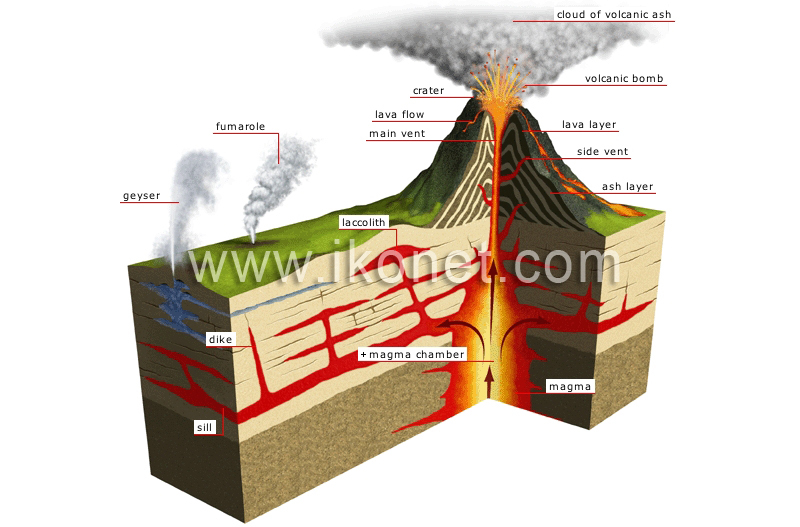 Layer of magma that has solidified between the layers of the Earth’s crust; it is about 10 meters thick and several kilometers long. Ash is formed of particles less than 2 mm in diameter; it is composed of pulverized magma and ground rock.